Is he not the cutest little model? 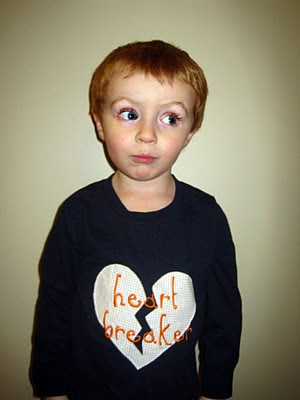 My little man is not interested at all in wearing his 'heart breaker' shirt (because it doesn't have a truck, car, plane or any sort of moving vehicle on it!) so my good friend let me use a photo of her adorable son for my blog! Thanks CrafySix!